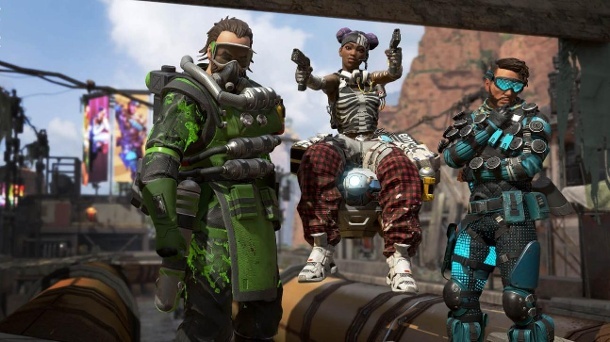 The popular Battle Royale shooter “Fortnite” has competition: A few days ago, “Apex Legends” came on the market. The game has already surpassed “Fortnite” in some areas. In the gaming world, a new game is currently receiving a lot of attention: “Apex Legends”. The Battle Royale shooter appeared on February 4 and is considered by some trade media to be a serious competitor to ” Fortnite “. The numbers show: The thesis seems justified. According to the magazine “GameStar”, “Apex Legends” counted ten million players within three days. Fortnite needed two weeks for this record. And according to “Zeit Online”, up to 300,000 people watch “Apex Legends” videos on the ” Twitch ” streaming platform . That’s three times as much as “Fortnite”. “Apex Legends” is a shooter with Battle Royale mode, such as “Fortnite” or “PUBG” (Playerunknown’s Battleground). A large number of players compete against each other at the same time. Read more about this gameplay here . In contrast to “Fortnite” or “PUBG” players fight in “Apex Legends” always in teams of three. Up to 60 players compete against each other on one card. The game is located in the universe of the game ” Titanfall 2″. However, the eponymous “Titans” are missing. Another difference to “Fortnite”: In “Apex Legends” the player can choose a character with a special ability that can be used in the game. A special feature of “Apex Legends” is the communication system: A player can warn his teammates by means of a ping system of dangers or draw attention to certain things. Through a combination of commands, players can also communicate complex things, writes the trade magazine “GameStar”. In many other games, players need to tap or use a headset to talk. Through the ping system “Apex Legends” wants to simplify the teamwork for all players. Whether the success of “Apex Legends” continues can not be said now. In an interview, Design Director Mackey McCandlish emphasized that “Apex Legends” should be a game for the next ten years. The game is available for PC , Playstation 4 and Xbox One . “Apex Legends” follows a free-2-play model. This means that the game itself is available for free. Players can purchase items in the game for real money. NEXT POST Next post: Illicit work in nursing: Is politics looking the other way?